Technical Car Experts Answers everything you need: how to replace spark plugs in 2006 explorer xls? You need a long (2') extension, swivel joint and 5/8" plug socket to start. You may want a couple shorter extensions too, but I prefer a long one for all but one or two plugs. Just seems to make life easier. You're not busting your knuckles on all the things in the engine compartment this way. You do them from the top. 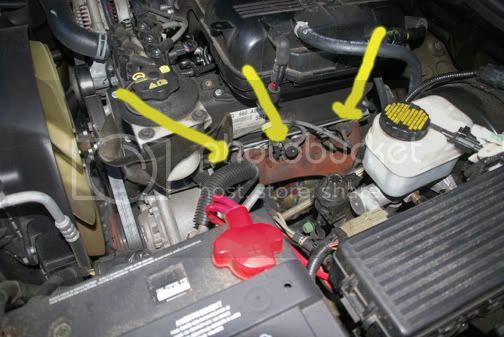 Here's a tip: Take a boot from an old spark plug wire, and use it as an installation aid when putting the new plugs in. You can thread them in most the way by hand this way, and only need to give them their final torque with your ratchet and socket. Put a very small dab of anti-sieze compound on the threads of the new plugs before installing. DON’T force a plug loose. Use even pressure. Maybe a lot of pressure, but don’t jerk it. 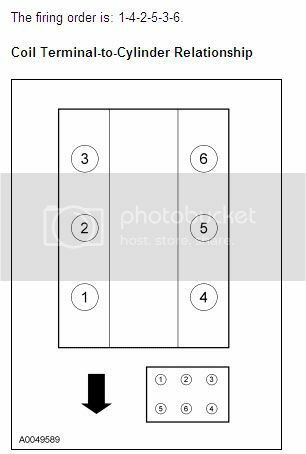 Also, when you turn the plug, turn the plug exactly perpendicular to the axis of the plug. You can mess up the threads in the head. You might could break the plug off. When you are putting the new plug in, you could break the top insulator off. Put the socket on the plug, all the way to the base. Snap in an extension bar if you need it. Then snap in the socket wrench handle. Plugs unscrew to the left (CCW) if you are looking directly at the top of the plug. If you pull the wrench to the left, and all you hear is a ratcheting sound, and no resistance, the wrench is set wrong. Flip the little lever, or turn the knob on back. Things should get easier to unscrew the further the plug comes out. 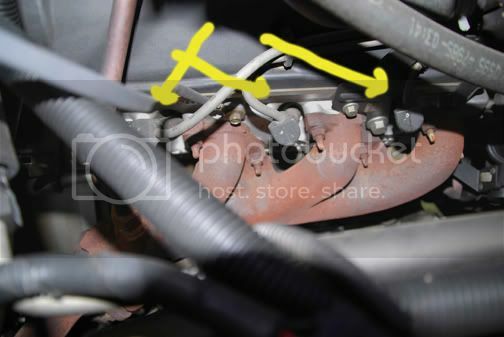 PAY attention to exactly how that extension is pointing out from the spark plug hole. When you are trying to put the new one in, put the extension in exactly the same angle, and it will help things. Swap plugs. Something I do, is lay the old plugs out exactly like they were in the motor. When I look at them later, I can see whats’ going on in the engine. Oil-fouled plugs toward the back is a bad thing. Brown sooty plugs are normal now because of fuel additives. 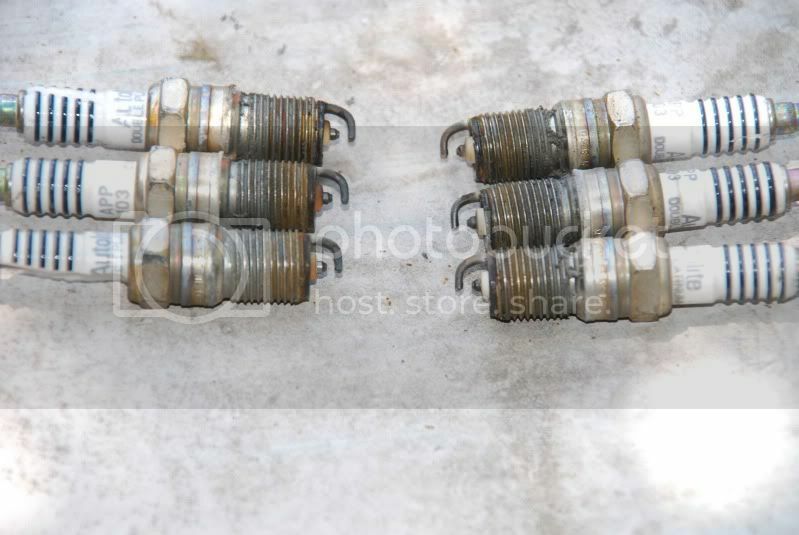 This is how the spark plugs look. Also there is a service bulletin for spark plugs problem.And it has all replacement procedure.